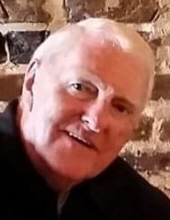 Charles Ray Vehorn, 83, beloved husband of Cindy White Jones Vehorn, entered into eternal rest on Tuesday, September 4, 2018, at his home. Born December 18, 1934 in Greenville, SC, he was the son of the late James Felder Vehorn and Ethel Cheek Vehorn of Greenville. He served in the US Navy and retired as President of Carolina Belting Company, Greenville. Ray led a wonderful life of honor, love and laughter shared with his loving family and friends. His hobbies included supporting his Clemson Tigers, golf, and travel. His wisdom, honesty and humor will be missed by all who knew him. Ray is survived by his wife, Cindy; a daughter Nicole (Corbin) Holmquist of Arnold CA; a stepson, Doug Jones of Waynesville, NC; granddaughters, Caitlin Holmquist of Gasquet, CA and Brooke Holmquist of Reno, NV; grandson, Ben Jones of Woodruff; brother, Gilbert (Faye) Vehorn of Easley; and nieces and nephews. Ray was predeceased by his former wife, Rita (Dubuc) Vehorn; his sister Nell Smith; and stepson Chuck Jones. A Celebration of Life will be private and held at a later date according to his request. The family would like to thank Tidelands Community Hospice for their excellent care and compassion during Ray’s illness. In lieu of flowers the family asks memorials be made to Tidelands Community Hospice, 2591 N. Fraser St., Georgetown, SC 29440. To send flowers or a remembrance gift to the family of Charles Ray Vehorn, please visit our Tribute Store. "Email Address" would like to share the life celebration of Charles Ray Vehorn. Click on the "link" to go to share a favorite memory or leave a condolence message for the family.